Multinational company “Rio Tinto” is planning to open three mines in Serbia, “Blic” learns. According to our sources the Canadian company Nevsun, which published the results of a preliminary economic study, according to which USD 1.5 billion should be invested in opening of copper and gold mine “Cukar Peki” near Bor – does not have enough funds. Canadians, who own Bisha zinc mine in the African state of Eritrea, have about USD 200 million on their account, which means they will either have to seek the support from banks to open a mine near Bor or, more likely, to find a strategic partner in order to open the mine in 2021, as planned. Those familiar with the circumstances point out that it would not be strange if Nevsun’s partner in that business would be “Rio Tinto”, because these two companies already have partner licenses for further explorations in “Cukaru Peki” deposit. It is believed that the site, at 20 more locations, extends to Zajecar and that initial research results at these sites, where nearly five million dollars have been invested, are even more impressive than those found by the Canadians. Let us remind, the Government of Serbia and “Rio Tinto” have recently formed a working group that will deal with preparations for the opening of lithium mine near Loznica, in the Jadar Basin. This multinational company would initially invested EUR 90 million in addition to EUR 50 million that were spent on geological explorations. Ore reserves in the Jadar Basin are estimated at 136 million tons and, as presumed, the site reveals incredible 10 percent of the world’s lithium reserves – a metal used in state-of-the-art technologies – when making mobile phones, in medicine … The Canadian geological company “Erin Ventures” discovered ore deposits, not far from abandoned coal mines near Baljevac on Ibar, in Raska, estimated at nearly eight million tons. 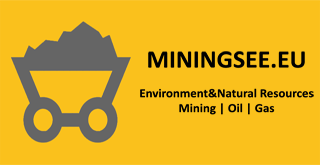 Unofficially, the company is now negotiating with Rio Tinto about the opening of mine in that area, and the first calculations show that this deposit could be exploited for 20 years, with a projected income of two billion euros. Rio Tinto owns copper, gold, coal, lithium, pine, coal and diamonds mines on five continents, where about 200,000 people are employed.